It’s been a busy week, so by the time I realized I was meant to be writing this post, I didn’t have much time to revisit some old fave. A quick scan of my bookshelf—well, one of them—offered a solution in The Rumpelstiltskin Problem, a collection of short stories by Vivian Vande Velde that I hadn’t read through in ages. 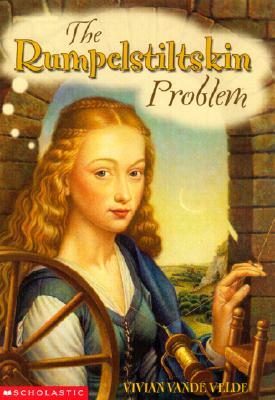 Originally published in 2002, The Rumpelstiltskin Problem comprises six different re-tellings of the Rumpelstiltskin fairy tale, each from a different perspective. The Rumpelstiltskin Problem starts with an author’s note, and while that may seem strange in a book clearly aimed at a middle grade audience, it’s important to read this one. Velde uses these few pages at the front of the book to explain why she wrote the six stories that make up the collection: basically, there were way too many plot holes in the original Rumpelstiltskin story for her liking, even when she was young. Why would someone boast that his daughter could spin straw into gold when she demonstrably couldn’t? Why would someone who actually could spin straw into gold do so in exchange for some small pieces of jewelry? Why would Rumpelstiltskin, after issuing a challenge requiring the queen guess his name, dance about singing “Rumpelstiltskin is my name” in the woods outside the castle? 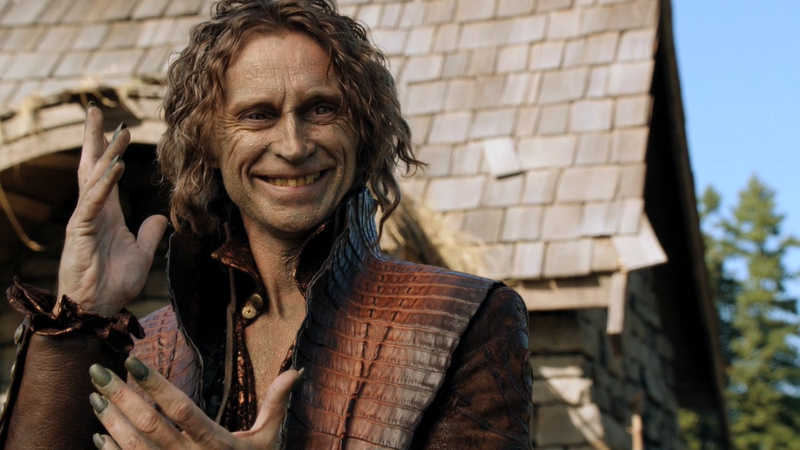 This Rumpelstiltskin would certainly not be caught behaving so carelessly. In one story, Rumpelstiltskin is a troll who desperately wants to eat a human baby; he demands gold as payment the first two nights of spinning to throw the miller’s daughter off his trail, and then insists on her firstborn as the final payment. In another, he’s a domovoi, a Russian house sprite, tasked with keeping the household happy. He’s pleased to help the miller’s daughter spin straw into gold, and confused that she mistrusts him, not understanding that she takes his refusal of repayment as bargaining for even greater payment. In yet another, the miller’s daughter runs away with Rumpelstiltskin after she realizes the king doesn’t love her or her daughter, and that Rumpelstiltskin does—it’s why he helped her in the first place. 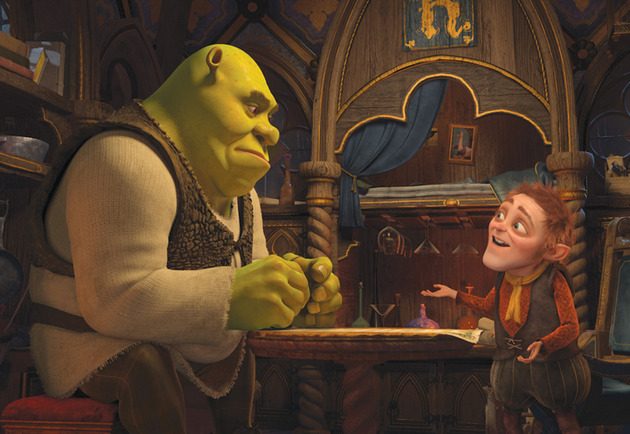 One story casts the miller’s father as Rumpelstiltskin; he poses as the magical man to try and trick the king into releasing his daughter, guilty that his love of hyperbole got her in the situation in the first place. In another, Rumpelstiltskin is a very ugly lady who just wants a child to care for (when she doesn’t end up getting the queen’s, she settles for locking her cabbage-loving neighbors’ daughter up in a tower instead). In the final story he doesn’t exist at all—the miller’s daughter is just a gold-digger. Now we’ve got a million-dollar industry based on churning out fairy tale revamps. Upon revisiting the book, my first thought was, basically, “why have I been holding on to this for so long?” While each twist on the story is clever, they’re each clearly an attempt to address a specific plot hole, rather than a well-developed story that stands on its own. That’s why I think it’s so important to read the author’s note: otherwise you’re just reading a bunch of relatively silly re-tellings of the same story with no concept of why anyone bothered to write them. How it’s lasted on my bookshelf through years and year of cullings and donations-to-the-library that snapped up much more interesting books is beyond me. I do think, however, that as silly as the book is, it’s also worth noting that this was probably the very first time I ever read a book that actively questioned classic stories. On one hand, none of the stories are in and of themselves actively feminist. The various daughters have varying but limited degrees of agency, and even the female Rumpelstiltskin’s story is problematic—she wants a child but is too ugly to attract someone to bear one with, and when she finds the gorgeous miller’s daughter trying to spin the impossible, she hatefully tricks her as revenge for all the times a pretty girl has got what she wanted and Rumpelstiltskin hasn’t. Nevertheless, though, I did learn from this book that if a story didn’t hold water, there was no reason to not change the narrative to make it better. As a pedagogical device, that definitely makes it worthwhile; although I can’t be a hundred percent certain, it’s very likely the first thing I ever read that told me I was allowed to challenge the accepted story. Why is it like that? Does it have to be that way? How can we change it to make more sense, or to include more realistic character motivations or plot twists? These crucial base questions are the root of critically thinking about fiction, fantasy or not, and they’re questions I still ask daily when I watch or read or listen to something I plan to review. In the end, this may not be worth a revisit in adulthood, but does deserve some respect nevertheless for teaching an important part of literary critique in a silly and accessible way. This entry was posted in Books, Fantasy, Reviews, Throwback Thursdays and tagged critical thinking, fairy tales, revisionist fairy tales, the rumpelstiltskin problem, vivian vande velde by Lady Saika. Bookmark the permalink.